The health and well-being of our students is a priority in Englewood Schools, and it's intentionally included in our Strategic Plan because we know that healthy kids learn better. 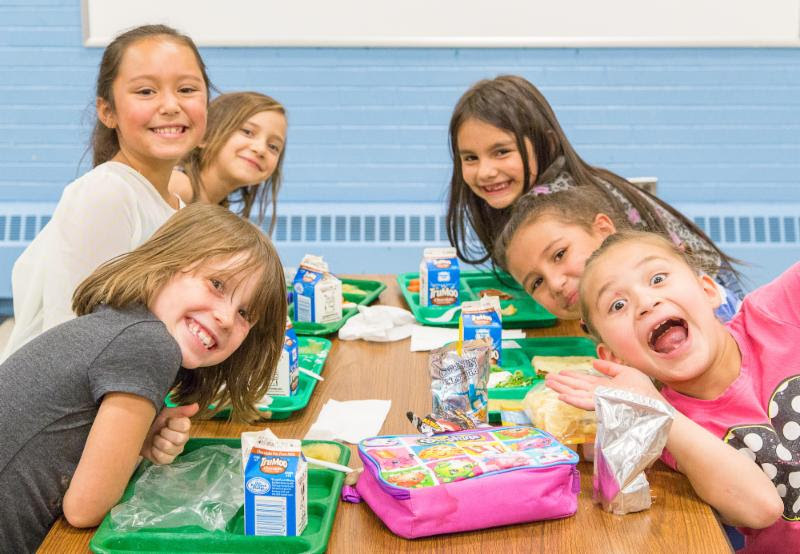 As part of our work to provide healthy and nutritious meals to our students, families are seeing more options for students at breakfast and lunch that include fruits, vegetables, whole grains, and lean proteins. School meals and nutrition have evolved greatly in the last several decades, moving from an emphasis on meats and grains to a more balanced approach that includes more fruits, vegetables and whole grains. Our talented team in the Englewood Schools Food and Nutrition Services department ensures meal options for students are nutritious -- including lots of fruits and veggies, lean proteins, and foods that are high in high fiber, and low in sugar, saturated/trans fat and sodium. TEC students enjoy the salad bar during lunch. Our nutrition team's work doesn't stop there! 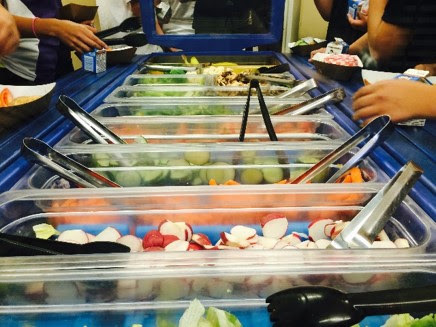 Students are offered a variety of healthy options to choose from. We want our students to be excited about food, to learn the difference between nutritious food and unhealthy food, and to develop healthy eating habits. To do this, our food and nutrition team helps to turn meals and the variety of food options we offer into teachable moments for our students. Students are learning what's in a nutritious diet and how eating healthy can boost their immune systems, keep their energy up and their focus sharp, and help them to learn better. A grant-funded program at Clayton and Bishop elementary schools introduces students to new, less commonly eaten fruits and veggies, such as sunchokes, artichokes, passion fruit, dragon fruit, cactus pear, elderberries and asparagus. For many of our students, it's the first time they've heard of or seen these types of produce, and they get excited to taste test them and determine which ones they like best. and teach our kids healthy eating habits. We provide a hot option and three grab-and-go items to all schools serving breakfast in the cafeteria. Those schools look forward to the spring semester menu, which will include a homemade breakfast item each day. 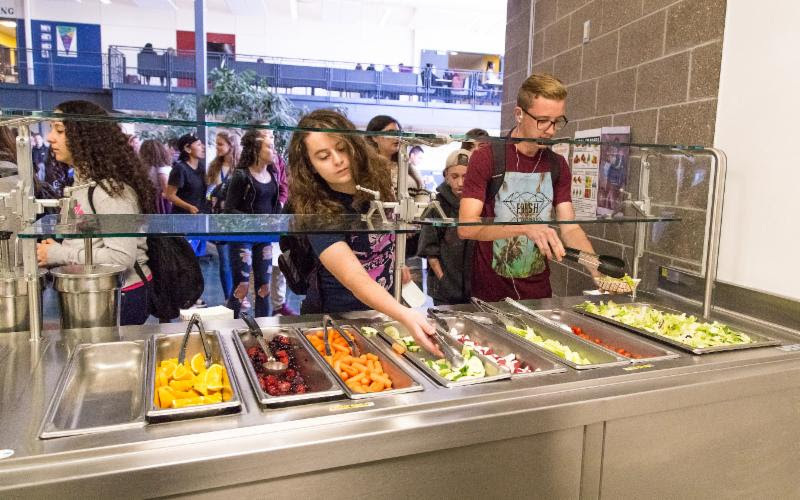 Students in middle and high school now have six to seven different healthy lunch options to choose from each day. 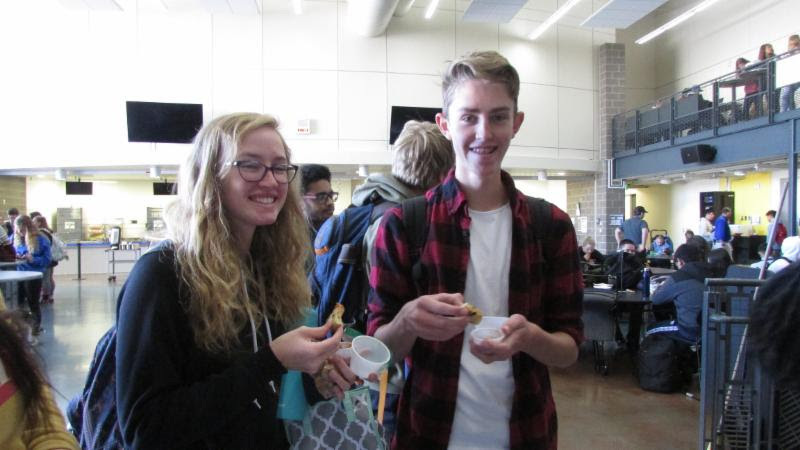 Our middle and high school students in particular have expressed appreciation for having more options to choose from, and they are embracing the healthier menu. Students help us determine which entrees should be added to our menus. They taste test different meal options (pictured left) and give us feedback on which ones they like and which they don't. The meals they like, such as hand rolled burritos, help us to build a menu that represents our students' tastes. Asian dishes, such as orange chicken and sweet and sour chicken with scratch-made, veggie loaded lo-mein and fried rice, have been a hit! I invite all of our parents to taste our healthy food themselves by joining our students and staff for a special Thanksgiving meal in November. Schools will be sharing details in the coming weeks! Cheers to healthy food and healthy kids. This week is National School Lunch Week, which celebrates the importance of schools providing tasty and nutritious meals to children. In celebration of NSLW, our schools have planned activities with students to share what we all love about lunch and healthy foods. Learn more about NSLW at www.schoolnutrition.org. Produce served at Englewood Schools is locally purchased whenever possible. We serve the freshest fruits and veggies that are in season and are Colorado-grown throughout the year, such as Palisade-grown peaches in the summer and fall. Buying local supports our community farmers and growers, and we do so whenever local produce is available. Learn more at www.coloradoproud.org.